This project was designed with the Salam & Giacalone Architects team in New York City. As an Architectural Designer, my role in the project included architectural design, 3d modeling and rendering, and assembling the presentation boards. 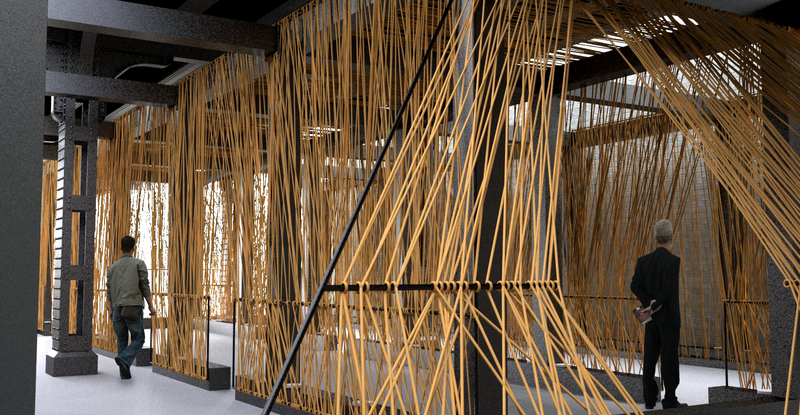 The project was designed and modeled in Rhino 3d using Grasshopper, and rendered in V-Ray. Photoshop was used to assemble the presentation boards. 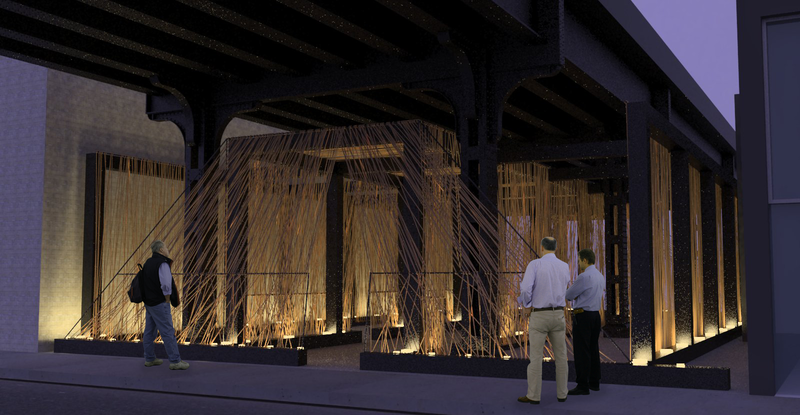 To be constructed under the High Line Park, this temporary outdoor exhibition pavilion would serve as an extension of the art galleries in this vibrant neighborhood. The framework is an orthogonal grid of 12 x 12 timbers to which a sub-frame of steel pipes is secured. 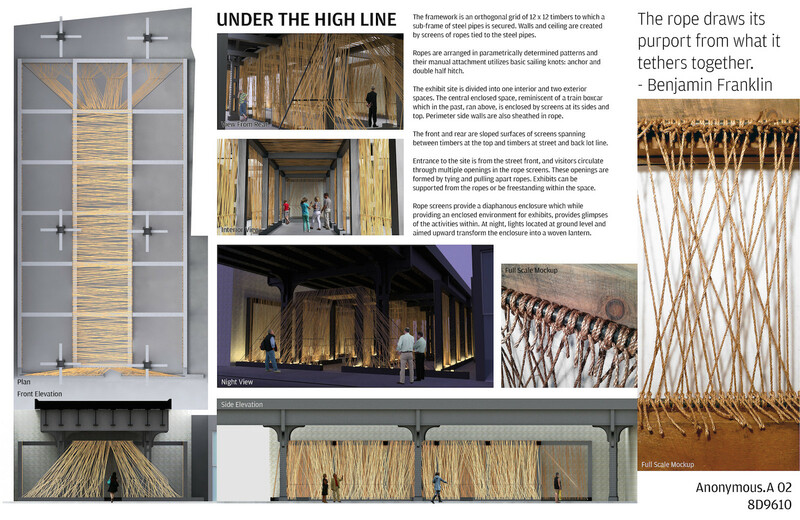 Walls and ceiling are parametrically arranged rope screens tied to the steel pipes in basic sailing knots: anchor and double half hitch. 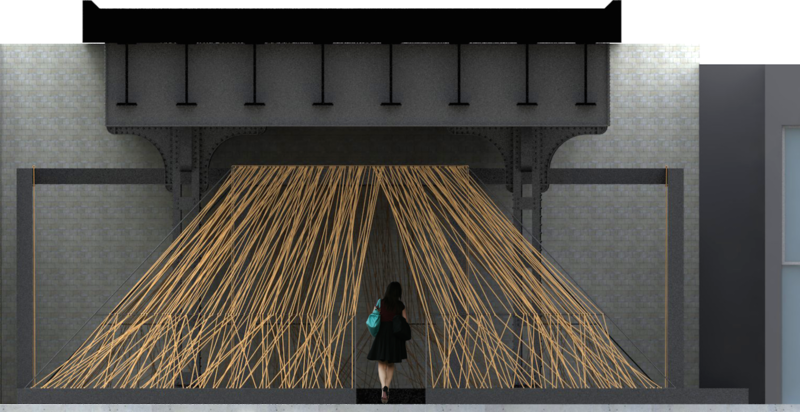 At night, the interior lighting transforms the enclosure into a woven lantern. 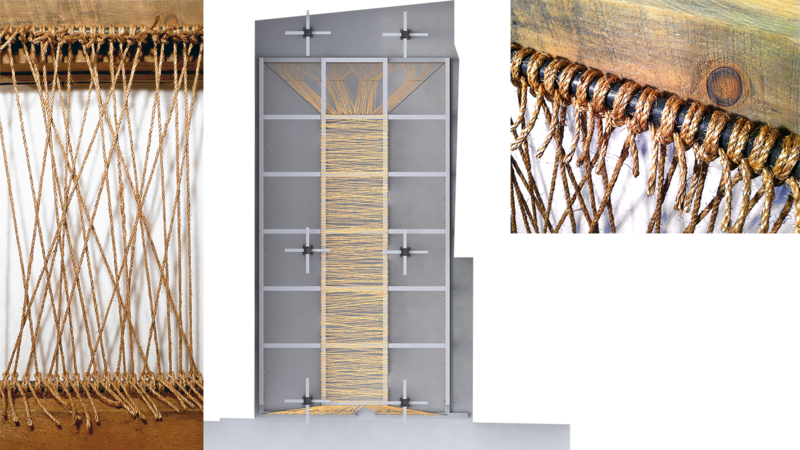 Openings are formed by tying and pulling apart ropes. 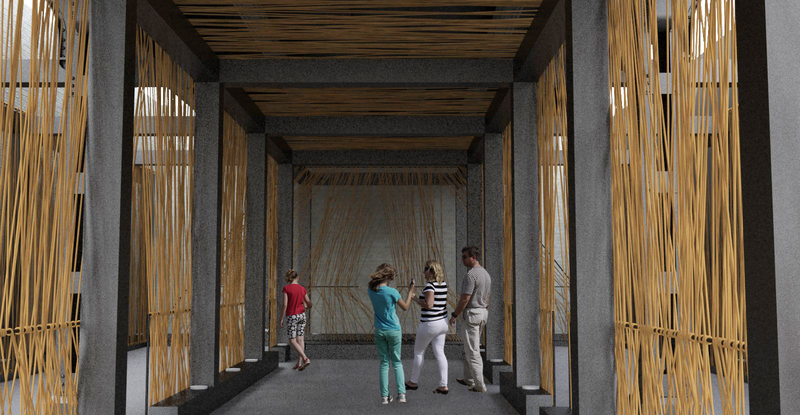 While providing a screened environment for exhibits, glimpses of the activities within can be seen through the diaphanous rope screen.